Abul Basar talks on the phone with a doctor and medical interpreter as he watches his oldest daughter. Like many of the refugees who have resettled in Greeley, Colorado, 35-year-old Abul Basar is employed by JBS. It’s a massive meatpacking plant that processes thousands of cattle per day and employs over 3,000 people. After a year of working on the plant’s processing line, where he disembowel cow carcasses with a large electric knife, Basar injured his right hand. Harvest Public Media's Esther Honig profiles a refugee who works at a JBS meatpacking plant. In the living room of his one-bedroom apartment he shares with his wife and two kids, Basar balled his fingers into a tight fist. As he opened his palm, his ring finger remained bent and rigid. “It’s locked my finger, (it) doesn’t work,” he said. Afflictions like this are common in the meatpacking industry, where the rate of injury is 2.5 time higher than the national average, according to the Department of Labor. But refugees like Basar, who’s still learning English, have few options for employment. JBS pays a starting wage of $13 to $15 an hour, plus benefits. That’s why, according to a report by the Fiscal Policy Institute, the meatpacking industry has the fifth-highest concentration of refugee workers, behind taxi drivers and truck drivers. Basar's hand is injured as a result of working at the JBS plant. He's been reassigned to a job that's less physically demanding. Low unemployment levels have made it increasingly difficult for meatpacking plants to find enough workers. And the Trump administration’s policies for new refugee arrivals has only added to the scarcity of workers, according to Eric Mittenthal with the North American Meat Institute. In 2017, 33,000 refugees were resettled in the U.S. — fewer than one-third of the number of refugees resettled in 2016 and the lowest in two decades. The worker shortage has meant some plants have had to shut down a processing line and miss production goals, Mittenthal said. To combat the shortage, companies like JBS, which advertises hundreds of entry-level positions at its 58 plants around the country, are trying to attract more workers with free English classes, sign-on bonuses and higher wages. Basar was resettled in Greeley in 2017 after escaping violent persecution in his former country of Burma, also known as Myanmar. His journey here was a dangerous one: He said he fled to Bangladesh, then Thailand and eventually Indonesia, where he was detained for nearly a year by immigration authorities. 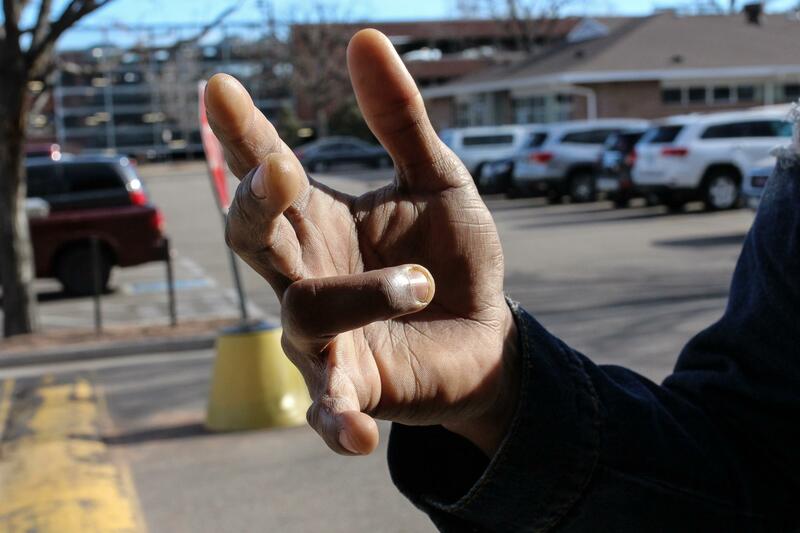 Today, he’s relieved to live in the U.S.
Greeley is one of three resettlement locations in Colorado in large part because the JBS plant offers the refugee community ample job opportunities. Basar’s case manager helped him apply for his JBS job, and with those wages he supports his wife and two young children. 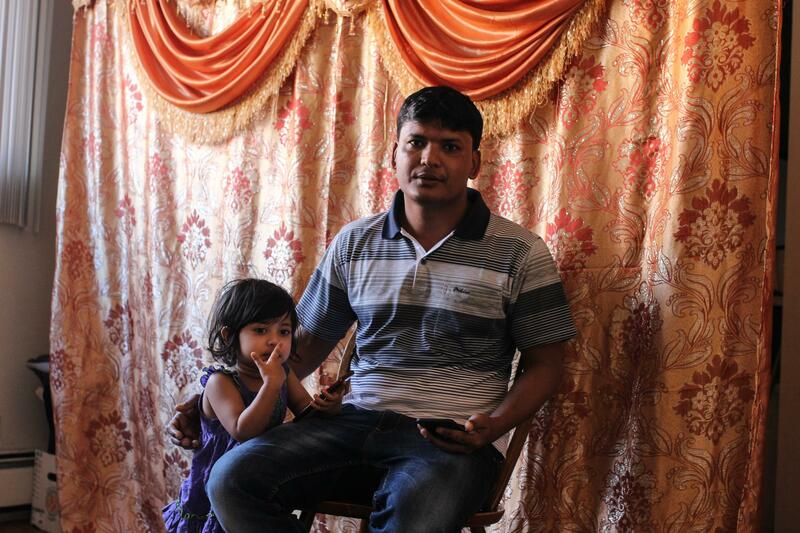 Basar poses with his two-year-old daughter at his home in Greeley, Colorado. He’s happy, he said, but he didn’t realize the work would be so difficult. After injuring his hand, Basar was given a job assignment of unfolding boxes. The conditions inside a meatpacking plant are hazardous. The floors are slippery and wet and workers risk exposure to dangerous chemicals and animal-borne illness. “It’s kind of an unpleasant job. Many of the tasks involve some level of danger or certainly discomfort,” he said. The current labor shortage has impacted all industries, not just meatpacking, and Tilly believes President Trump’s policy to limit refugee arrivals ignores the apparent need for more workers. “The policy now is less a pragmatic one and more an ideological one. In some ways making a point rather than serving a purpose,” Tilly added. 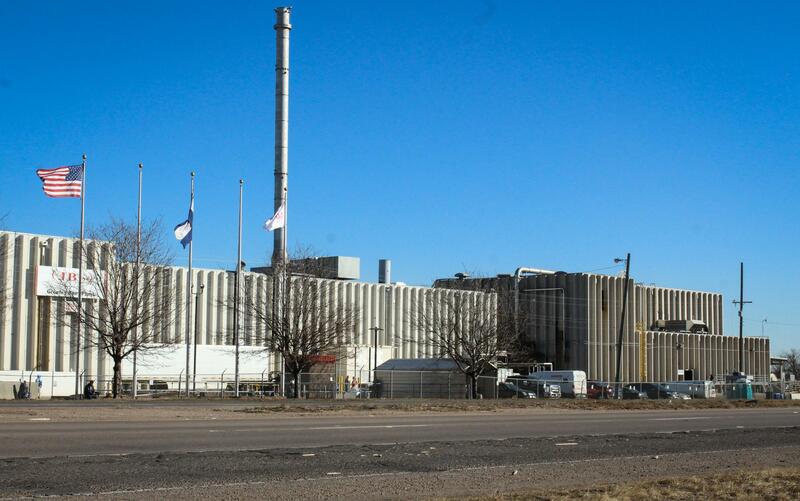 The JBS plant in Greeley, Colorado, is the city's largest employer. It's also a reason why Greeley is a primary relocation site for refugees. At a doctor’s office in downtown Greeley, Basar stepped into a narrow elevator with his medical interpreter. He was here to determine whether his injured hand would required surgery. Most days, Basar said, he’s thankful to be in the U.S.; he loves Greeley and enjoys fall and winter. After a 20-minute exam, Basar returned to the waiting room with news. “Doctor says it’s OK,” he said. Physical therapy and the break from his job on the processing line have helped the injury heal. At least for the moment, surgery is not necessary. Basar was visibly relieved as he said goodbye to his interpreter and headed home to prepare for his 3 p.m. work shift at the JBS plant. A congressional watchdog agency called on the federal government Thursday to better protect meatpacking workers, who are often exposed to dangerous chemicals, not allowed bathroom breaks and refused medical treatment. The General Accountability Office’s report said the U.S. Occupational Safety and Health Administration faces a challenge when it comes to addressing safety concerns in meat and poultry plants because workers may not report problems out of fear of retaliation. Meatpacking workers call it “the chain.” Sometimes “the line,” or “la linea.” It sets the pace for all work done at meat processing plants, production rates that force workers to make in the tens of thousands of cuts, slices and other movements for hours at a time. Those repetitions affect workers’ muscles, tendons, ligaments and nerves, causing what is called musculoskeletal disorders, or MSDs, and resulting in sprains, strains, pains, or inflammation. The federal commission in charge of enforcing workplace anti-discrimination laws found a Colorado meatpacking plant violated the rights of its Muslim workers during a dispute over prayer breaks. The Equal Employment Opportunity Commission (EEOC) found reasonable cause that Cargill Meat Solutions and labor union Teamsters Local No. 455 violated the rights of Somali workers when it fired nearly 150 of them for failing to show up to work after a walk-out at its Fort Morgan, Colo. beef plant in late 2015.